Your creativity is the world made from your dreams and I am here to give you characters for that world. 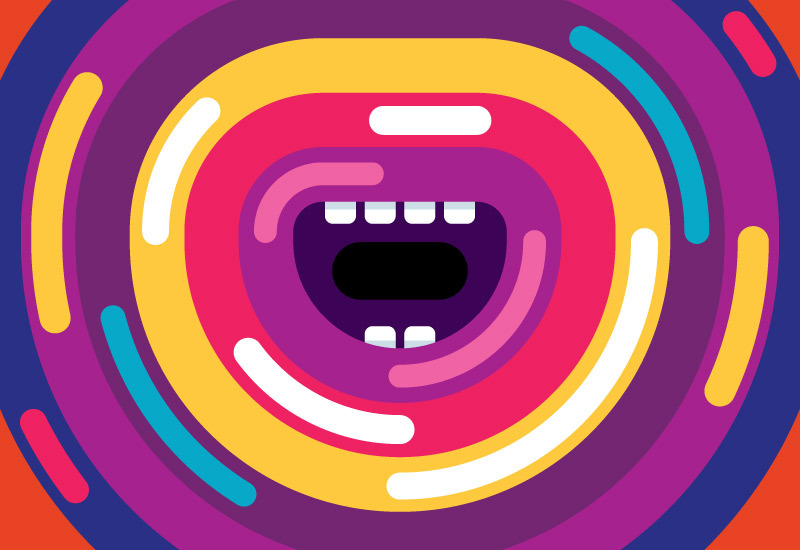 These characters will be a great source of inspiration and your creative process will be much faster. 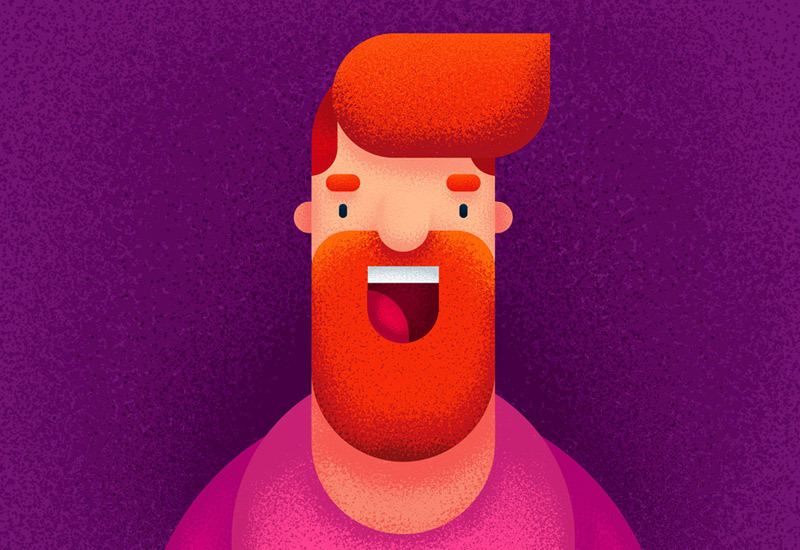 You can use just one body form for 100 illustrations, but you will need unique faces for these illustrations. 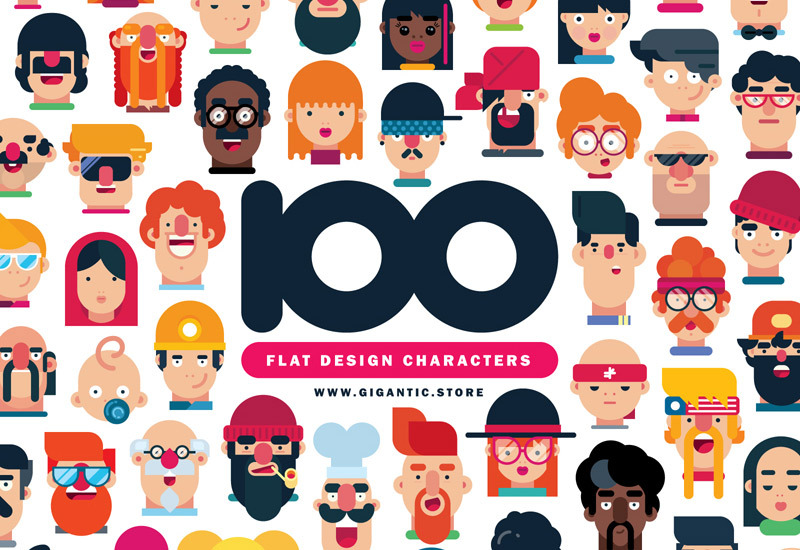 All characters are made in Illustrator with separated shapes, so 100 can even become 1000 with a different combination of these shapes and choosing between two angles. Trust me you will enjoy it. Download only once and use it for the rest of your life. My goal is to ease your creative process and to offer you as many possibilities as I can. 100 completely different characters are more than enough even for the most complex creations. All files are available in vector formats. The files will be in eps, ai and png formats, thus available for use in any desired program. 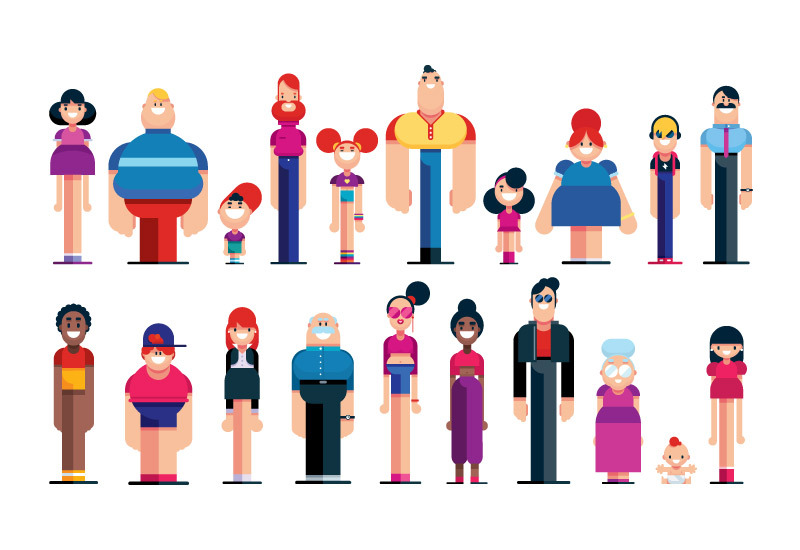 Male and female characters of any age are available for download. Amazing content, i love it! It helpse out for projects and learning more about the illustration world. If i buy this pack, can i animate the character to use them in my professionnal work? Of course 😉 Enjoy it! is it a full body or just face pack?